Hopefully. 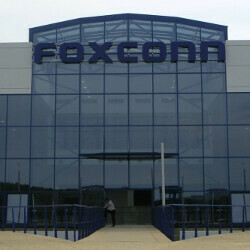 This could be a good move for American growth and Foxconn themselves. Speaking of iPhone prices rising, any idea what iPhone 8 will cost? I am betting it will be $1099 for 256GB. Or Apple will probably surprise us and make the first 512GB phone, since iPad has that option. Hopefully only higher prices for the US and not the rest of the world. Apple charges a big enough premium as it is! Well true but remember that more growth is almost impossible, because US economy is already running at full capacity (low employment rate). Moto closed their US factory in like a month. It was quite sad. Of course Apple can easily just lower their profit margins to keep this factory running forever but the question is will they? I highly doubt it. But will there be safety nets? $2000 for the new iPhone and it would still sell like hot cakes. The lines are already forming as I type. Yes some would pay that Fyah_king , i don't think as many would as you are thinking. Even smart people have a limit on what something is worth spending hard earned money on. Even if Apple increases the price, people will still buy them. And this isn't a sheep post or something stupid like that. It's the truth. I'm not an apple user, but they make a good product. It's a solid phone with a smooth operating system. People will still buy, and with more and more options for purchasing, like financing thru retailers, more people can purchase. The demand won't go away. And if it brings 1,000 manufacturing jobs to America, than that's 1,000 more jobs than we had before. I'm happy to pay more for a product if it's made in America and keeps jobs here vice moving overseas. US has a 300 mil market for its companies, EU a 500 mil and Asia 2-3 billion. Who do you think will loose both jobs and money if people would think like you and are going to start buying things and services made in their continent? It doesn't have to raise the cost because the majority of the phone will still be built overseas. But Apple will use it as an excuse to raise the price. That plant could be full of robots. The products get made in US, but there will be no jobs. What then? Will they ship the Chinese cheap labor there too?